If you need a nice ride in the famous city Ningbo, just simply contact us now to get our BEST QUOTES and GREATEST SERVICES today! Car rental serivice provider in Ningbo China ! We drive your way in Ningbo! Ningbo is a seaport city of northeastern Zhejiang Province, Eastern China and lies south of the Hangzhou Bay, facing the East China Sea to the east. Ningbo is one of China's oldest cities, with a history dating back to the Hemudu culture in 4800 BC . Once known as Mingzhou (明州), Ningbo was known as a trade city on the silk road at least two thousand years ago, and then as a major port, even today , Ningbo port( Beilun port) is one of the largest shipping port in china. Ningbo is a very important port city which makes it plays an important role in the economy development along each coast of China. The city started foreign trading in the 7th century and has since then become a major exporter of electrical products, textiles, food, chemicals and industrial tools in china today. Ningbo was geographically isolated from other major cities on the east coast and was separated from Shanghai by Hangzhou Bay,in 2008 the world’s longest cross-sea bridge :Hangzhou bay bridge was completed which allowing travel to Shanghai in less than two hours. 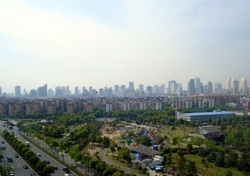 The bridge is already having an impact on the local economy, according to the observations of lots of business people in Ningbo– property prices are rising up dramatically. Industrial regions are now twice as big as similar regions around Shanghai in 2006. Ningbo is also a well-known cultural and historical city all over the country, national gardening city, and national excellent tourist city. It owns rich tourist resources such as Tianyi chamber, hemudu relics ,Tiantong temple etc. Shanghai Car Rental Service will be very honored to have the opportunity to serve you in Ningbo with our great limousine services, we will insure a hassle-free, most comfortable trip no matter you are traveling Hangzhou for official business visits or personal tourists. All our drivers are from local and they are all licensed, well trained and with more than 6 years’ experience in serving our foreign customers, they are also quite familiar with the routes in Ningbo and other cites in Zhejiang province and can easily drive you wherever you want. ◆Ningbo airport/ hotel transfer services ,hotel pick up and drop off. ◆Grand transportation or transfer /shuttle services for Fair/ Event /Exhibitons in Ningbo regions ( Convention center to hotel and hotel to convention center) ( MPvS, Luxury Sedan , buses and coaches are availale for such services ). ◆Long-term car lease for individuals or cooperates in Ningbo. ●Over 10 years experience in serving foreign customers, all our drivers are professional and over 10 years safe driving experience which guarantee our customers a safe ride. ●All our vehicles are maintained under very good condition and they are very clean and comfortable with air-conditioning. ●We have over 100 vehicles from luxury limousines to the economic sedans to meet different customer requests. ● we are most efficient and attentive in handling any special and specific needs from our customers. Every customer who chooses Shanghai car rental services will be well taken care of and they are guaranteed to receive high value services from us.